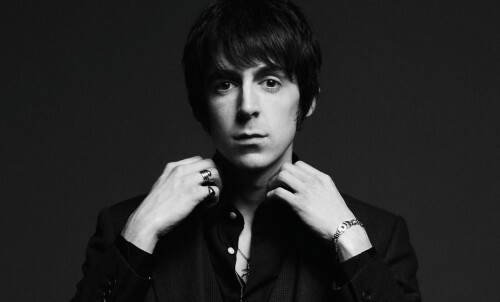 Interview: Miles Kane | Professional losers. Check it. Miles Kane may not be a household name here yet, but his confidence would suggest otherwise. He talks of Shadow Puppets, his mate ‘Al’ and the gig itch. You would be forgiven for not knowing Miles Kane’s musical background, considering his successes have pertained mostly to the far off lands of Europe and the UK so far. Despite having been a guitarist in The Little Flames and frontman of The Rascals, he’s still best known as Arctic Monkey Alex Turner’s other half in The Last Shadow Puppets. No surprise then that his inaugural visit to Australia (he’s a self-proclaimed ‘virgin’ to our shores) is as special guest to the national Arctic Monkeys tour. He’s the first to admit the fringe benefits of touring with your buddy. Kane’s debut solo record Colour of the Trap has helped him step out of the, erm, shadow of his pal Alex in the UK, where it charted at number 11 upon release. Though don’t fear, Kane is taking it all in his stride when it comes to winning over the local crowds when he hits town. Speaking of transitioning from playing to adoring fans to a crowd who may never have heard of him before, he’s animatedly confident. There’s not a hint of weariness in sight from a man who’s spent the better part of the last year touring constantly in the Northern Hemisphere. He speaks of performing live as if it were ritualistic release. With this kind of braggadocio it’s unsurprising to note that the Liverpool lad has opened for both Beady Eye and Kasabian, no small feat after spending a couple of years hidden away after the success of The Last Shadow Puppets’ The Age Of The Understatement. “I didn’t do a gig for nearly two years, from finishing touring Puppets and Rascals and then I had a blank canvas,” he recalls. “So it took me a while to get back into it, because I didn’t want to do a gig until I’d recorded the record, til it was all done and dusted, so you weren’t doing songs live that weren’t making it onto the record. It takes time. The resulting sound is a melding of catchy choruses, melodic guitar riffs and a penchant for poetic pop songs. Though the songs often give off an air of simplicity, Kane explains that it’s not always as easy as grabbing a guitar and writing a tune. “With the song Rearrange, that came from three demos. Halfway through recording there were so many songs and so many ideas knocking about and that tune stemmed from, I had that guitar riff – the main riff – on this one song, and I had a song called Let it All Out, which is the pre-chorus, and then the (sings) ‘rearrange my mind’ in another tune, which wasn’t even the chorus,” he says. “And then we were just sifting through those bits, that riff – the (sings) ‘let it out, let it out’ – is really strong and then ‘rearrange my mind’ is boss so I just put them together over three chords really simply and wrote some lyrics for the verse and that’s how that song came about. Kane’s had to take on a new role besides rock star since his record took flight: that of pop heartthrob. It’s easy to see why teens are obsessively writing on the official Miles Kane forums or spending hours Tumblr-ing pictures of him. Just check out his chic and tidy video for Rearrange and it becomes clear. “It’s a very sharp and simple video, isn’t that?” says Kane. There’s not much to it, but it proves that Kane’s 60s inspired music is reflected in his pristine grooming. Turns out he’s well-versed in fashion too. This entry was posted in Interviews and tagged arctic monkeys, australian tour, colour of the trap, last shadow puppets, miles kane, rearrange, the little flames, the rascals. Bookmark the permalink. Cool info. When music is playing, though, it’s a symptom of frequencies and energy.